Recently apretty bought a baggie full of small (about thumb size) plastic crawling babies. I asked her what she was going to make with them and why she needed them. There are just some things I don't understand I guess, she said they were for her "found art" project. Hopefully, they won't show up in some kinda baby wreath. Maybe she's gonna put em in a bowl with raw eggs and tomato soup and make an abortion casserole. Last edited by Bob; 01-02-2010 at 10:16 AM. Reason: Thought of better phrasing. but I do love to create!!!! Lol. Yeah, that was one sweet rat! Does said rat have a name, Hudson? Why yes he does, Urs. I call him...Rat. She "bought" objects for her "found" art project? but i *found* them in a baggie at the thrift store. totally counts! This piece is one of my latest. This means that I started it several months ago and it has been sitting, incubating since then. I will probably put a little more detail into it....eventually, but it is mostly finished. 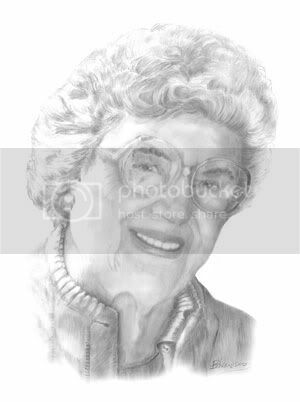 the original photo which matched a faint pencil grid that I measured out on the Bristol sheet. The final output for framing is 16 x 22. Wow! Y'all are doing some amazing art! My design work is created in Adobe CS4. 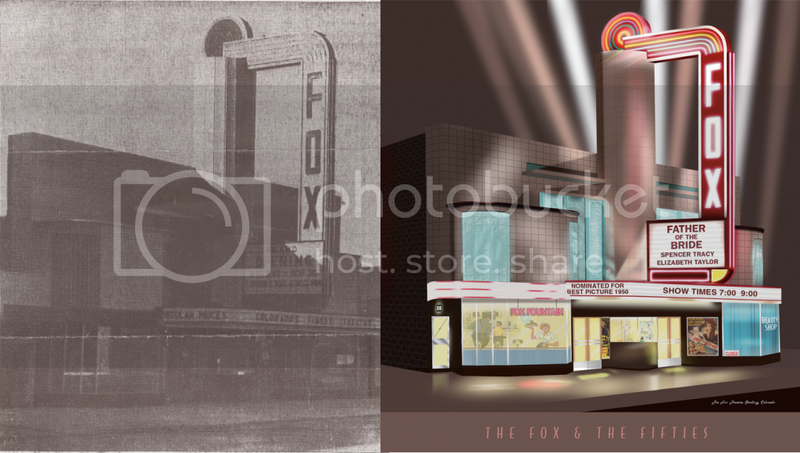 To recreate the Fox Theater in my home town in the 1950s for a poster, I used a faxed copy of a 1938 news clipping as my template. Then I added shots of Norman Rockwell and the album cover of American Graffiti to create the Fox Fountain cafe which was next door in the late 40s and 1950s. It took about 2 and half months to finish. femme with a fetish for beautiful dresses. About me...I am an artist, crafter, poet and sometime-seamstress. 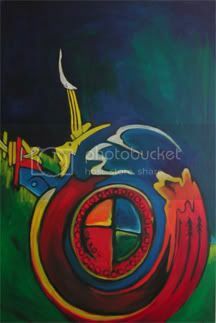 My art is my passion and oil painting and drawing are where my talent shines. My work has been compared to Dali and sometimes Tanguy (which humbles me more than any thing else). 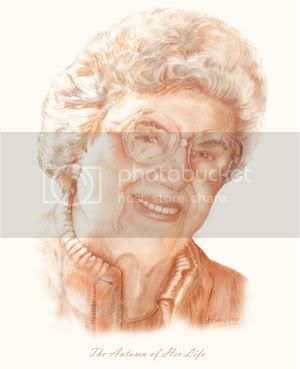 To see my work, go to http://warningshot.deviantart.com/gallery I would love to know what you all think. Some of my jewelry is there, too. But, I don't think I have added any of my Pagan Rosaries to that gallery. In regards to my poetry, I may start a thread for my words sometime in the future. I haven't decided yet. The seamstress part is that I make cloaks for Ren Faire and ritual. I also make other simple things. But, I have a difficult time with more difficult clothing items. You might say that I have creative add...haha. I have looked through the work of others here and I have to say that it is SO good to see so many creative people in one place. ps. Jet, I don't know how you do it. CS4 and I DO NOT get along. It is still a mystery to me. My joy in life comes from the Journey. Magic and Silk. I just looked at your work on Deviant art. Wow...you are incredibly talented. Im astonised. I love your work. I love Dali too and there is a connection there. Jack, you flatter me beyond belief. I like that. Thank you for taking the time out of your weekend to look at my gallery. I appreciate that so much. Believe it or not, I am a very small-time celebrity in the small town that I live in. People that I don't know say to me "Oh I have seen your work!". I am still not used to it. Thank YOU for sharing! Have a wonderful week! Thank You , you have a great week also ! Guys! I have discovered Zazzle! Has anybody else got a shop there? I was tossing up between Zazzle and Cafepress. I'm not expecting to make a fortune on it or anything, but it's a good way to get my art work out there when it would otherwise just be sitting in my computer, forgotten. Might do something on Cafepress too... I think Cafepress would be the more widely known website... but that's just a feeling. I just sold a tie on Zazzle! Whoots A tie with kewpie dolls on it was the last thing I thought I'd sell, but hey, I'm not complaining! Ok, I'm a, oh, nevermind... just dripping by to see what-all you creative folks are doing. Just stopping by to give this thread a *BUMP*. I have been so busy lately, painting my newest oil painting, creating more jewelry and drawing. Hopefully, I will soon have some to add to the gallery, if I can figure out which pictures I want to replace.